Filed under GDI Information, GDI Scam ? Are you receiving Emails from your uplines with Invalid Phone Numbers? 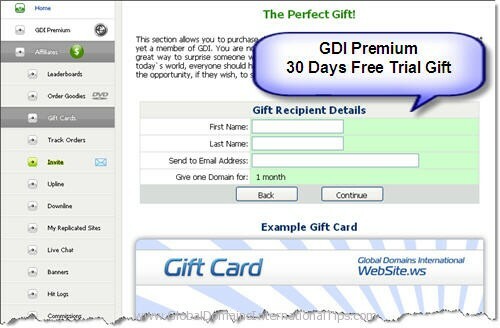 If you are a new GDI member or have recently signed up to Global Domains International. You many have received introduction welcome emails from your uplines. This is a new feature from GDI. It is an automatic email from Global Domains International sending welcome ontroduction emails to new downlines from their uplines including the phone numbers of the sender (upline). These phone numbers are the phone numbers we registered GDI with and they are real phone numbers. Only that most downlines simply assume that they are local numbers. They pick up the phone and make the call to their uplines and most often get to the wrong person. Since Global Domains International an online global business, uplines can be from any countries around the world and register their international phone numbers when they sign up. Hence you may need to add an international dialing codes at the front of these numbers. i.e +44217872682. So I would suggest checking the country of origin of your uplines before you make a call and get disappointed. If you need support or help, email your uplines which has no cost to you. You can also get much help and ideas from the GDI forum provided. You can access this private forum from your members area. There are many good tips on building your GDI website to marketing your GDI business. I see you just joined the GDI family. We are very happy to have you as a member of our team.